Expand search to view more listings in and around Shreveport. See more offices in and around Shreveport. 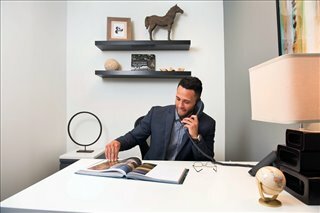 Offices.net has 1 modern office building offering executive office solutions, co working space, hot desking and virtual office services in Shreveport, ready for you to move in and get started. The office suites, shared offices and coworking spaces we offer in and around the city allow you do business in a great location from professional office space without the overheads and commitments of commercial real estate leases. Finding the right location which allows your business to grow and also to build the right network of connections can be both a challenge and an opportunity. Many companies choose flexible office solutions, which gives them the freedom to expand or contract depending on their requirements. Numerous office buildings offer offices that are fully furnished and equipped, making setting up a very easy process. Some of the serviced offices can also be configured to meet the specific needs of your business. Some office providers will tailor the space for you and even give you the freedom to decorate to give you more control over your environment and branding. Simply choose any of the Shreveport offices for rent listed above. All of the office space and executive office suites are available on temporary rental terms to suit your needs and are located in prime Shreveport business positions. Offices.net also contains a extensive range of office space in other prime Louisiana locations, available on flexible terms. Get in touch today, and we will be be happy to help you find your exact office space.